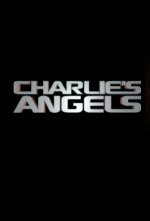 Charlie's Angels release date is set for Friday, November 15, 2019. This will be a Nationwide in theaters release. The franchise grossed $544 million worldwide. According to Tracking Board (5/23/17), at least one of the new Angels will be African-American. Hidden Figures and Moonlight star Janelle Monae is reportedly at the top of the studio’s wishlist. Hollywood Reporter (9/17/18) says the project seems to have multiple characters named Bosley. Banks is playing Bosley and Stewart is also playing a Bosley.